Σχεδιασμένο για ταξίδια τόσο επαγγελματικά όσο και διασκέδασης, το Energy Inn είναι ιδανικά τοποθετημένο στη Κζίμεντινγκ, μια από τις διασημότερες περιοχές της πόλης. Μόνο 40 KM μακριά, αυτό το 3 αστέρων ξενοδοχείο είναι εύκολα προσβάσιμο από το αεροδρόμιο. Από τη βολική της τοποθεσία, η ιδιοκτησία προσφέρει εύκολη πρόσβαση σε κορυφαίους προορισμούς της πόλης. Επωφεληθείτε από ένα πλήθος ασυναγώνιστων υπηρεσιών και ανέσεων σε αυτό το ξενοδοχείο της Ταϊπέι. Το ξενοδοχείο σας προσφέρει μια μεγάλη επιλογή υπηρεσιών, συμπεριλαμβανομένων των δωρεάν WiFi σε όλα τα δωμάτια, κατάστημα δώρων/σουβενίρ, παράδοση ειδών παντοπωλείου, αυτόματο πλυντήριο, ταχυδρομική υπηρεσία. Επιπλέον, όλα τα δωμάτια διαθέτουν ποικιλία ανέσεων. Πολλά από αυτά παρέχουν ακόμη και επίπεδη τηλεόραση, μοκέτα, προϊόντα καθαρισμού, κρεμάστρα ρούχων, δωρεάν καφές φίλτρου προκειμένου να ευχαριστήσουν ακόμα και τον πιο απαιτητικό επισκέπτη. Εξάλλου, το ξενοδοχείο διοργανώνει πολλά ψυχαγωγικά δρώμενα έτσι ώστε να έχετε πολλά πράγματα να κάνετε κατά τη διαμονή σας. Ανακαλύψτε ένα ευχάριστο μείγμα επαγγελματικών υπηρεσιών και μια μεγάλη ποικιλία ιδιαίτερων χαρακτηριστικών στο Energy Inn. Children over 120 centimeters will be charged TWD 400 per person. Friendly and helpful staffs, few minutes walk to XMD station. Dear guest: Thanks for your staying in Energy inn! We sincerely appreciate and hope you have had a great itme in Taiwan. We are looking forward to your stay next time. Thank you! It was a fabulous experience! Clean place and good service. The public kitchen serves yummy soy milk in the morning. Good job to the staff. The whole experience is marred by this family of Singaporeans whose children made a lot of noise running along the corridor, screaming away, every morning. But well, the staff did their best to ask them to quieten down. Our kids love their own bunk bed with curtains for privacy and no need to fight for power points to charge their gadgets. Fast and free wifi and very nice complimentary coffee. Small room with very effective space utilization - separate shower and toilet facility attached to the room. Great way to spend time with teenaged kids. Hi dear, Thank You for choosing Energy Inn as your stay in Taiwan. Thank You again for the compliments. Hope you have a nice experience in Taiwan :) See you next time!! By far the most satisfying stay in Taiwan. We booked a 2 bunk beds room for 4. Although the room is a little bit small, however the cleanliness and location is really good. Located very near to ximending in a very small alley. Sounds proof is good, bed is comfortable, bathroom and toilet is separated so it's easier for 4 person to share together. Staff is really friendly, they greet every single time they see you, and most of them remember which room you're staying in. It's a very clean and new hotel! 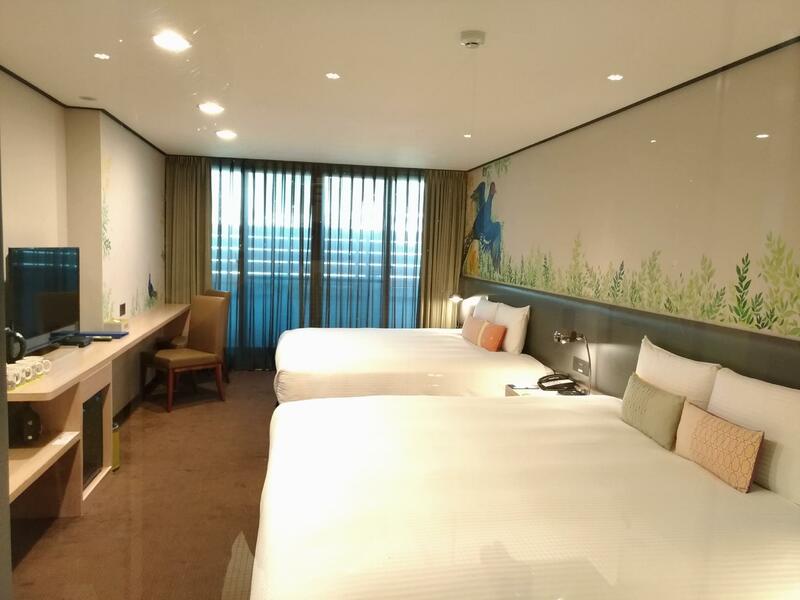 This hotel is located at a small road in the busy XimengDing area, most of the famous tourist attractions and eateries are within walking distance, the Ximeng Metro station is 450 meter from this hotel too. Hotel is opened in early 2016, all the facilities are well maintained, beds are comfortable, washrooms are clean, and some rooms have small bath tub. Staff are friendly and helpful, and they provide useful tourist info, in addition, they can help you making a reservation for nearby restaurants. Breakfast comes in set, guests can choose Continental set or Chinese set, and you can ask for extra portion if not enough. Self service laundry machines and dryers are located at 7B floor in case you need to wash some clothes. Dear Ku : Thank you for your support and encouragement of the energy inn hotel, for your mentioned advantages, we will continue to maintain your praise is the driving force of our services, look forward to your next visit. I stayed in Energy Inn with my friends early this month and we absolutely love this place. It is in the heart of Ximending where all the shops and restaurants are. The room was really nice and the staff were so helpful and friendly. The breakfast was simple but tasted good. Will definitely stay in Energy Inn again if I go Taipei next time! Hi dear, Thank You for choosing Energy Inn and leaving the compliments. It is our honor to help you. Hope you have a nice experience in Taiwan :) See you next time!! Stayed with my friends in this hotel in nov 2018. Loved the location and the coziness of the hotel. The staff is really friendly and helpful. People who visit Taipei should really stay in this hotel. Very highly recommended! Dear guest: Thank you for choosing Energy INN again !!! And thank you for leaving the compliments :))) We will remain our service and hope to see you next time!!!!! There are hotels which look all fancy on the outside, but have small rooms and staff whom are too busy to serve you. Energy Inn is basic looking from outside but they have a wonderful big, clean and comfortable room, a superb bathroom with a gigantic onsen tub, and wonderful staff who greet you every time you enter the lobby. They also help with reservations and requests. There's also free breakfast and Ximen station is just 6 mins walk away. What more can you ask for? Great location with 5mins walk away from Ximen station and surrounded by local eateries and shopping street. 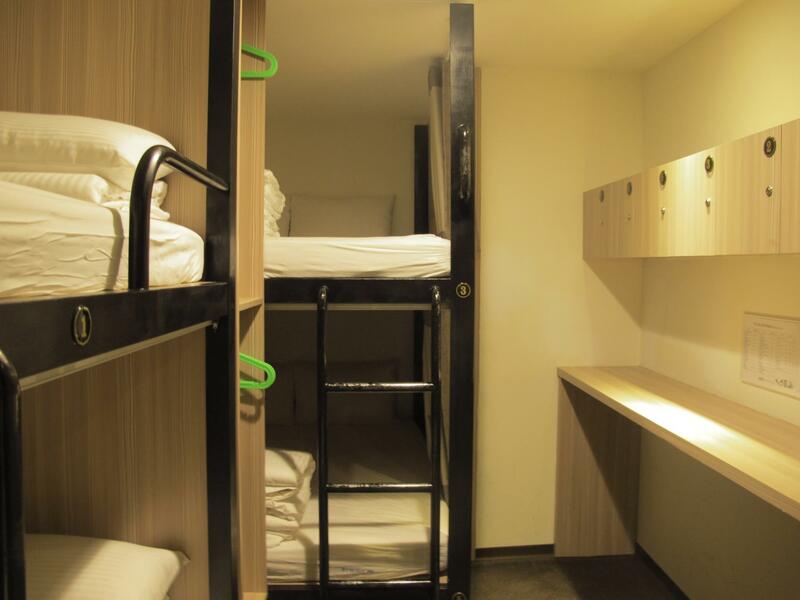 Good-sized room for 4 people with comfortable beds and cleaned room and toilet. The hotel served a delicious breakfast with a daily change of menu. Overall, it was a great stay and would recommend this hotel to anyone. Dear guest: Thanks for your staying in Energy INN this time! We hope you have had a great time in Taiwan. All of our members are looking forward to your stay next time^^ Thank you! One of the best hotels we have stayed in December. The location is very good and is surrounded by eateries. The staff are always around to help out in any matters. Room size is expected of hotels in taiwan, but i will that it is adequate for my family of 4. The hotel is clean and generally people walking in and out of the hotel are pleasant. The only issue is the self coin laundry on the top floor. It is limited in numbers and it takes too long to wash a load. Granted it is a convenience given to the hotel guest and the washers and dryers are not of professional grade. For guest who needs to wash regularly, there is a laundromat nearby. Looking forward to my next stay in Energy Inn in 2019. Dear Json, Thank You for choosing Energy Inn as your stay in Taiwan. and we are really really appreciate the compliments that you leave for us!!! It's really a great honor for us and just made us do things more well for our dear guests!! And we really hope that you have had a nice trip experience in Taiwan :) See you next time!! I’m happy to stay at Energy inn. It is a small hotel but the room is new, clean, comfort and have all things we need. They care much about the guests which I’m really appreciate. We stayed during New Year Eve and the hotel gave us gifts (very nice cups). They also gave guest some hot snacks free for count down party. They really care about their guest. A great hotel, best hotel I’ve ever stayed in Taipei. Thank you so much. It has been a pleasant stay during our trip. The rooms are big and really clean. Staffs are very friendly and helpful. 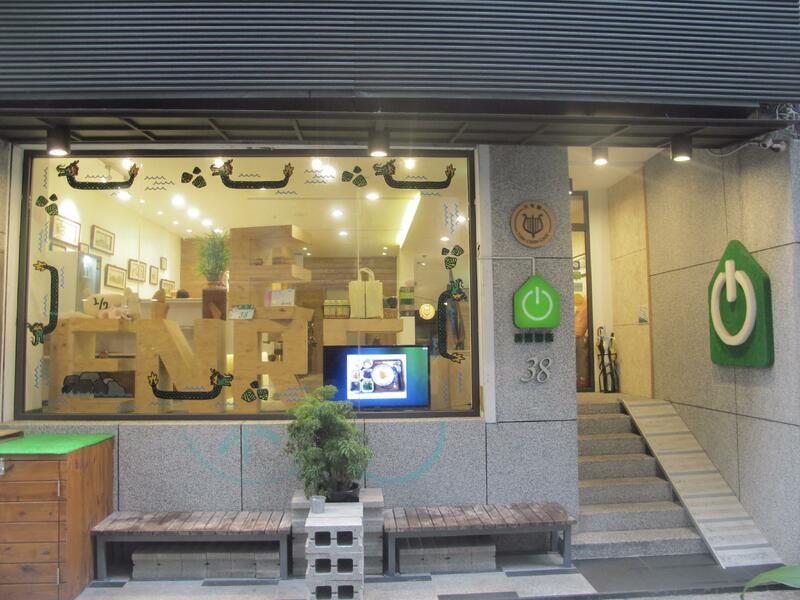 Location is just about 5-8 mins walk away from ximending station exit 6 n 5mins walk away from central of ximending. Surrounding there are a lot of restaurants where you don’t have to worry about meals and 7-eleven. Overall we are very happy with the inn. We stayed at Energy Inn on july 1-3. My cousin and I were both first timers in Taiwan. We had a very long day prior to arriving it felt like we were saved when we saw the hotel! The check in time is at 3 so I felt a little drained seeing that we were almost 40minutes early. Thinking we had to wait another hour felt so exhausting. I wanted to ask if we could check in earlier but the amazing staff of Energy Inn proactively told us we can check in early because our room is ready! They are so keen to detail we really did not have to ask for anything. There were even times where Id thank them for asking me because I wouldnt have thought of it. 😊 the area is conveniently located at Ximending District. Its close to MRTs and Ximending Night Market. Right outside the hotel are local restaurants frequented by locals. Its peaceful and clean! Its also near banks, convenient stores and my fave food carts! Dear guest, Thank You for choosing Energy Inn to stay. We are sorry about the inconvenience of location. As to breakfast, we are try to provide more choices. Maybe when you come to Taiwan again, you can visit us again and have other new breakfast~ See You Next Time!!! The family room is comfortable and my friends like the hot bath facility in the bathroom. They replenish snacks and coffee if you call for make up room. The location is convenient for shopping and lots of eateries around the block. Dear Tek It's our pleasure to hear that you had a great time here! Thanks again, looking forward to see you all next time! Spacious room with thoughtful design. 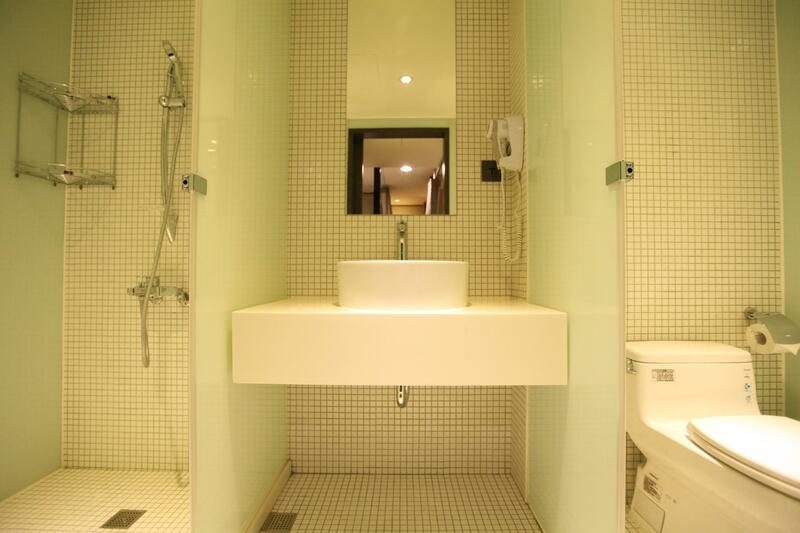 The toilet is very clean & equipped with necessary items such as shampoo, shower gel, hairdryer etc. We chose to include daily breakfast which is great & decent. No shops were open until 11am so it is more convenient to have accommodation comes with breakfast. Location: Energy Inn is not obvious when you walk along the main road. It is located inside a small alley so you have to open your eyes big to spot it. 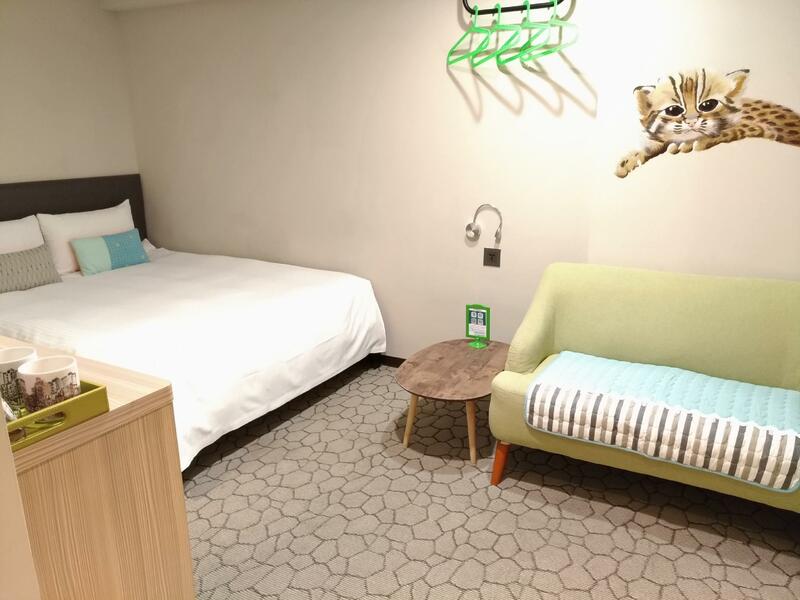 Other than that, staying at Energy Inn is a good choice as Ximen station is nearby and convenient to go to other places of interests and even Taoyuan airport. Dear Chiam It's our pleasure to hear that you had a great time here! Thanks again, looking forward to see you all next time! The room was good and lots of space. The beds were kinda hard if you like soft beds like I do. The breakfast was made to order and was a nice change. The staff were very helpful and couldn't be any nicer. There were only a couple of minor things that bothered us. A significant one was a dog was barking every night. I know the property isn't responsible for this but it was a problem for us getting a good night of sleep. There was also a light that was blinking and did not turn off. It was just annoying enough to keep you awake. Despite all this it was a good place with a good location in the middle of everything. I would recommend this place to travelers. Dear Joe Thank you for your advice, and also thanks for your sharing to let us realize the problem that we didn't notice before! We are all impressed by you and your lovely family members! Cant wait to see you all next time! Thank you! The room is spacious, no problem fitting all four of us, considering we are two adults and two “adult-size” teenage kids. In fact with the two queen-size beds, there are still plenty of room to spare. General condition if the room is clean and devoid of foul or mouldy smell. Two of us are highly sensitive to allergens (husband and daughter) and thank goodness they did not experience exacerbations of respiratory or skin symptoms throughout the stay (despite the fact we have packed all the meds necessary in anticipation for such attacks!). The room has two windows which can be ajar to let air in. We also noticed in neighbouring room that whenever guests check out, they let the door opened to promote ventilation. No noise pollution from nearby busy streets. Day tour can be arranged from the hotel. Coin-operated washing machine and dryer are available in the hotel (top floor) but limited to one unit each. Σταθμός Μετρό Ximen στα 0.41 χλμ.